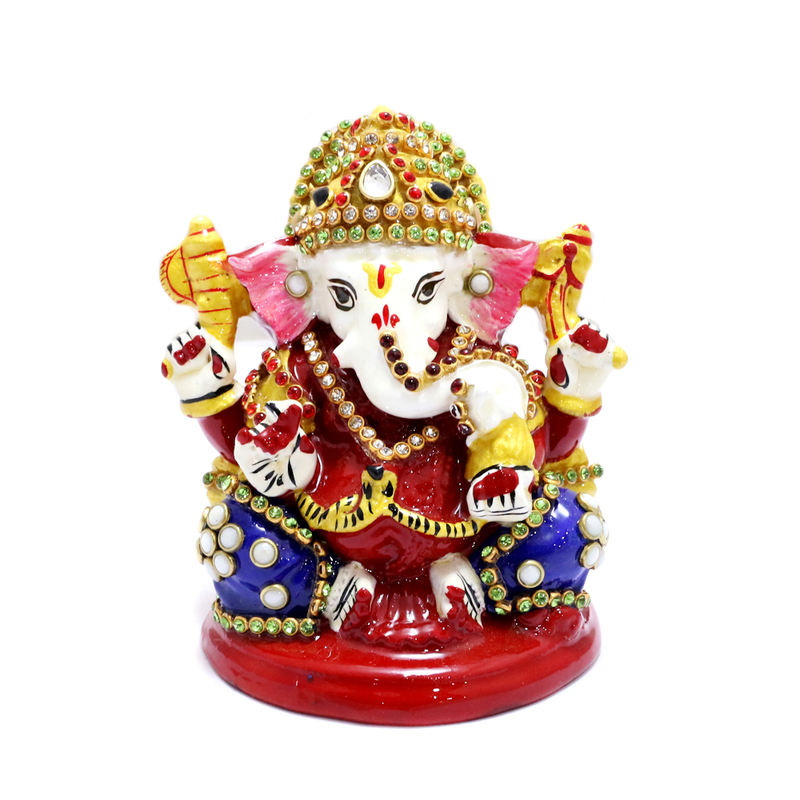 Beautifully sculpted Lord Ganesh is all set to bring back the charms of positivity. 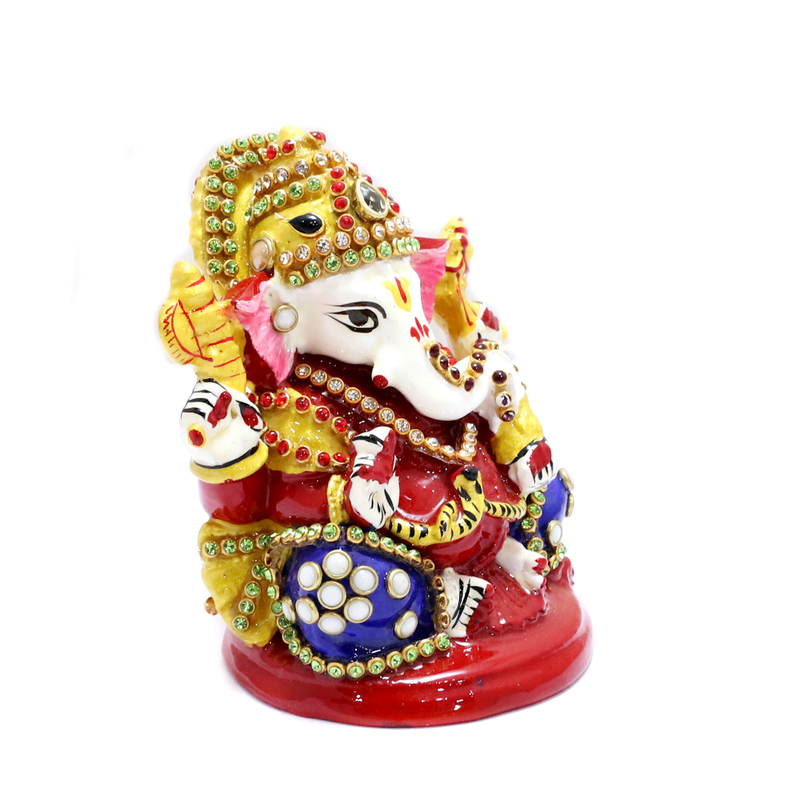 The idol is made up of metal which is very well Read More..washed with stone as well as meena designs. 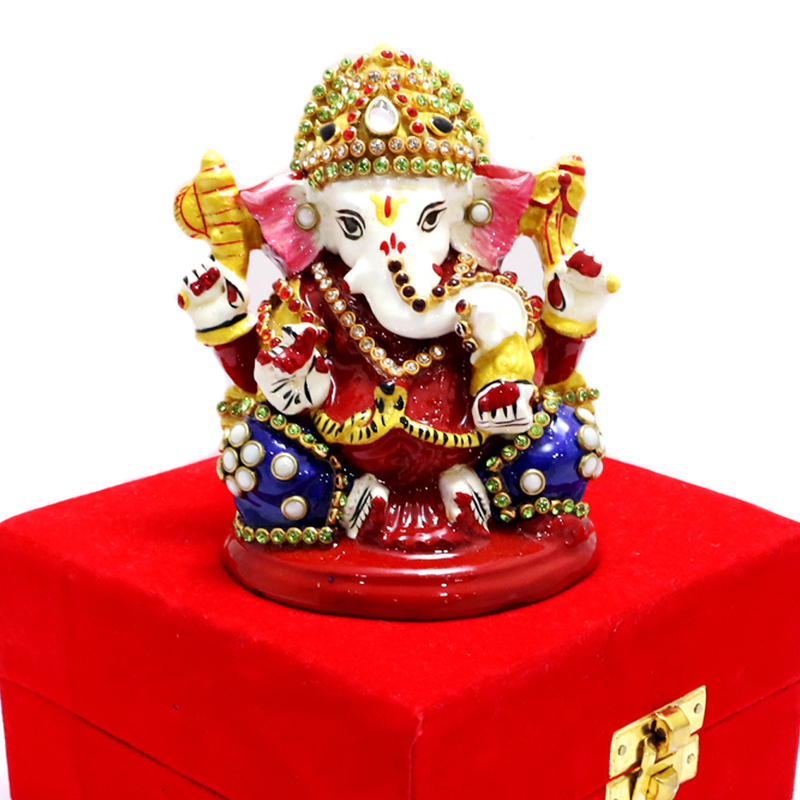 Keeping this in your house is a good sign according to vastu. Show Less..